Known in England as La Liga, the Primera División of the Liga de Fútbol Profesional is the top-flight league of Spanish football. Sponsorship means that it is officially called Liga BBVA and it con-tested by 20 teams over the course of a season. 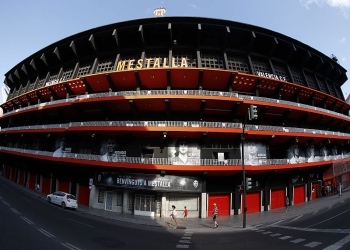 Here we’ll take a look at the league itself, explore its history and discuss the types of grounds you can expect to find being used by football teams in Spain. 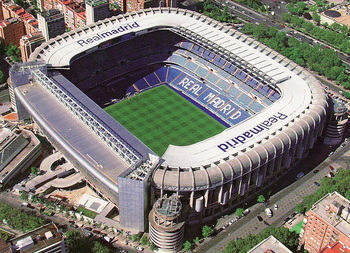 Spain features some of the largest and most spectacular stadiums in world football. 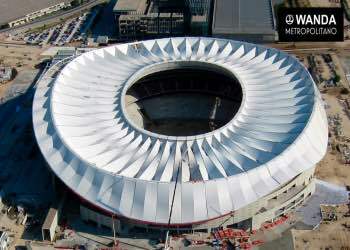 Any look at a list of the largest stadiums in global football by capacity will reveal the Camp Nou near to the top of it and the Santiago Bernabéu not far behind. 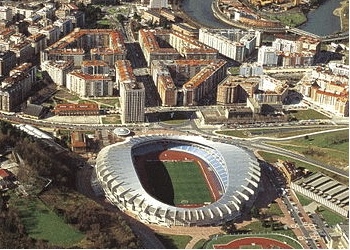 It isn’t just the grounds with size and scale that make Spanish games such interesting ones to attend, however. 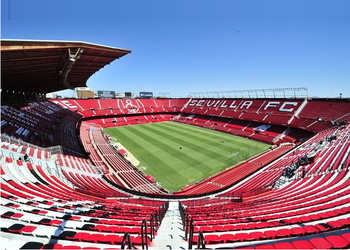 There is also a huge range of types of stadium across the league that are worth visiting if you spend any time in Spain and find such things interesting. Some of the grounds, for example, are reasonably small ‘Bowl Style’ stadiums that are quite common across Europe nowadays. Others still have an ‘English Style’ to them, with the bowl’s con-tinuous seating abandoned in favour of having four individual stands that run alongside each edge of the pitch. 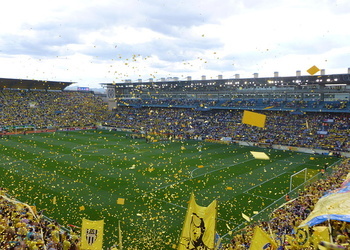 At any given time the capacities of grounds in La Liga can run from under 10,000 seats through to just shy of 100,000. 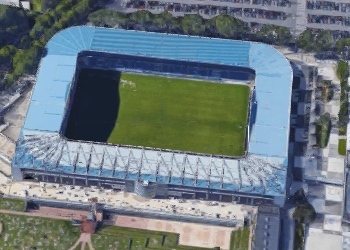 One of the common traits amongst plenty of the stadiums in Spain is the absence of roofs. 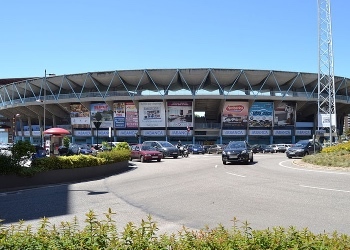 Something that would be simply unthinkable in the UK is quite commonplace with our Iberian friends, with stadium designers choosing to take advantage of the country’s naturally warm and welcoming climate. 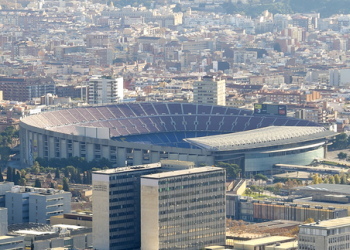 The majority of the stadiums used by La Liga teams also have just one or two tiers, making the colosseum-esque grounds belonging to both Barcelona and Real Madrid look even more spectacular by comparison. Much like English fans are used to with the Premier League and French fans are accustomed to with Ligue 1, La Liga sees the twenty teams that participate in the league play each other twice, once at home and once away from home. That means that each team plays 38 games over the course of a league campaign, with 380 games being played in total. If a team wins the game they play then they are awarded three points, with the losing team receiving zero points. A draw between the two teams results in both receiving one point towards their league total. At the end of the season all of the points that the teams have won are added together, with the team that has collected the most points finishing top of the league and the ones with the least finish-ing at the bottom. If any teams have the same amount of points as each other then other things will be taken into account, such as each team’s goal difference. Unlike in England, however, it isn’t the overall goal difference for the season that is considered. Instead it’s the goal difference from the matches the teams played against each that goes towards their final finishing position. After the goal difference from the games between the two teams is taken into account things like the total goal difference, total goals scored and fair play scores will be used to determine which team deserves to finish ahead of the other. This may seem excessive, but with Champions League qualification available to the teams that finish the closest to the top of the table and relegation the punishment for the three that finish at the bottom of the league, it’s important to be completely fair when assessing the finishing position of all of the different teams in La Liga. 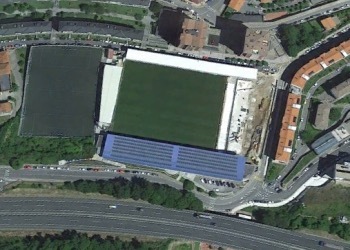 La Liga was founded in 1929, two years after one of the directors at Arenas Club de Getxo first suggested the idea of a Spanish national league. 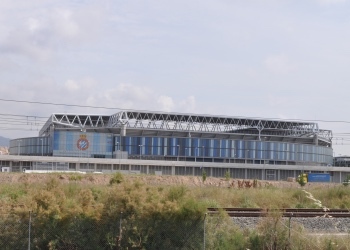 There was much debate about how the league would be made up during those two years, with the Real Federación Española de Fútbol eventually deciding that ten teams would form the first ever Primera División. The teams were decided on the basis of a team’s previous performance in the Copa del Ray, with Real Madrid, Barcelona, Real Sociedad, Athletic Bilbao, Real Union and Arenas Club de Getxo all qualifying for the new league as previous winners of the tournament. Atlético Madrid, Europa and Espanyol all qualified as previous runners-up in the Copa del Ray, whilst Racing de Santander made it in after winning a knockout competition to find the tenth team. To this day Athletic Bilbao, Real Madrid and Barcelona are the only founding members of the coun-try’s top division to have never been relegated from it. They are also the three teams that set the pace early on for winning Spain’s newly invented top-flight league. Barcelona won the first ever Primera División title, with Real Madrid winning two back-to-back in 1932 and 1933. 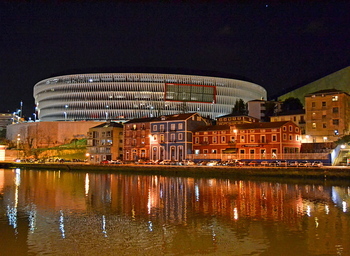 Yet it was Ath-letic Bilbao that set down a marker, winning it four times between 1930 and 1936. The Primera División was suspended for the duration of the Spanish Civil War, with the clubs from Republican areas of Spain, with the exception of both clubs from Madrid, competing in its re-placement, the Mediterranean League in 1937. The Primera resumed after the war came to an end, with several different clubs winning it during the 1940s. It was the 1950s that set the pattern for the league as we know it today, however, with Barcelona and Real Madrid seemingly taking it in turns to win the title throughout that decade. Real’s success, in particular, would continue for some time. The team from the Spanish capital won the Primera División an incredible fourteen times between 1961 and 1980. Real Madrid enjoyed more success at the end of the 1980s before Johan Cruyff returned to the Nou Camp as manager and set about ensuring that the 1990s would belong to Barcelona. The Dutchman formed a ‘Dream Team’ with players that have since become world renowned manag-ers in their own right at the heart of it. Names such as Pep Guardiola, Ronald Koeman and Michael Laudrup led Barca to four titles between 1991 and 1994 as well as the European Cup in 1992. The dominance was ended by Madrids Real and Atlético winning a couple of Liga trophies before Louis Van Gaal took charge at Camp Nou and led Barcelona to another two titles at the end of the dec-ade.